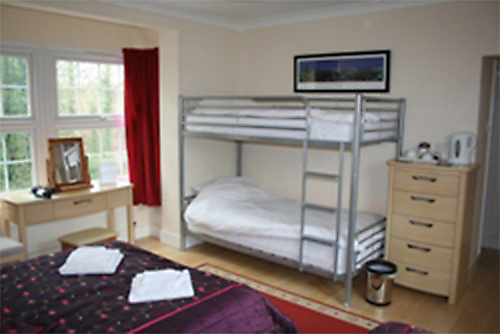 This room has a double, one single & a sturdy bunk bed which has two full size single mattresses. This room can now fit 2 adults & 3 children in full comfort. 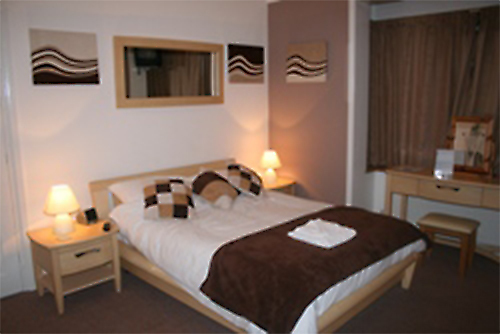 Our triple en-suite room (brown decoration) with a double and a single bed. As with all our other en-suite bathrooms it has a large shower cubicle with a very powerful thermostatic shower (single bed is not shown). 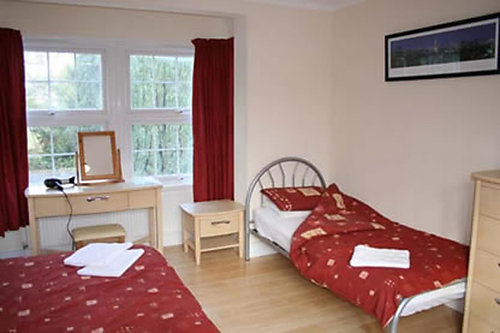 Room 3 is a double en-suite bedroom, being at the back of the house it is a nice quiet room. 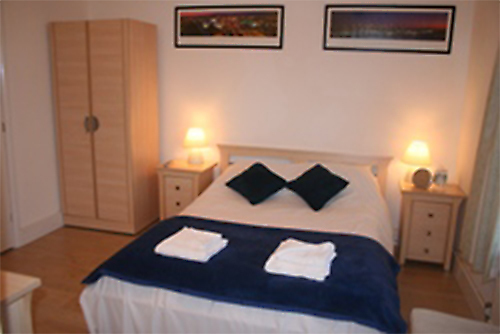 As with our other en-suite rooms upstairs it has a very powerful thermostatic power shower, modern furniture, hairdryer, colour TV and a well stocked hospitality tray.